​Kids, Animals & Comical Characters. (US$512) $730 Australian. 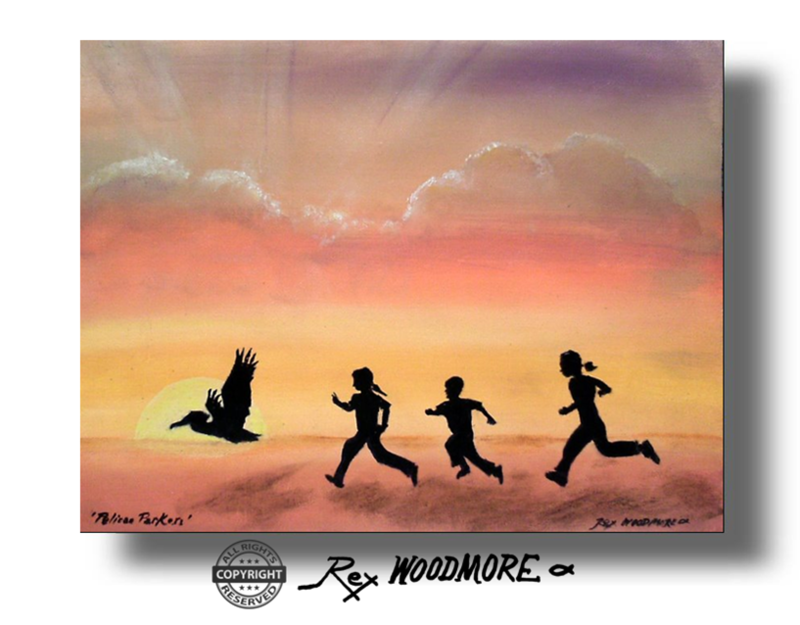 Kids Kite.​ An early work by Rex Woodmore and first Jacaranda tree painting !!! 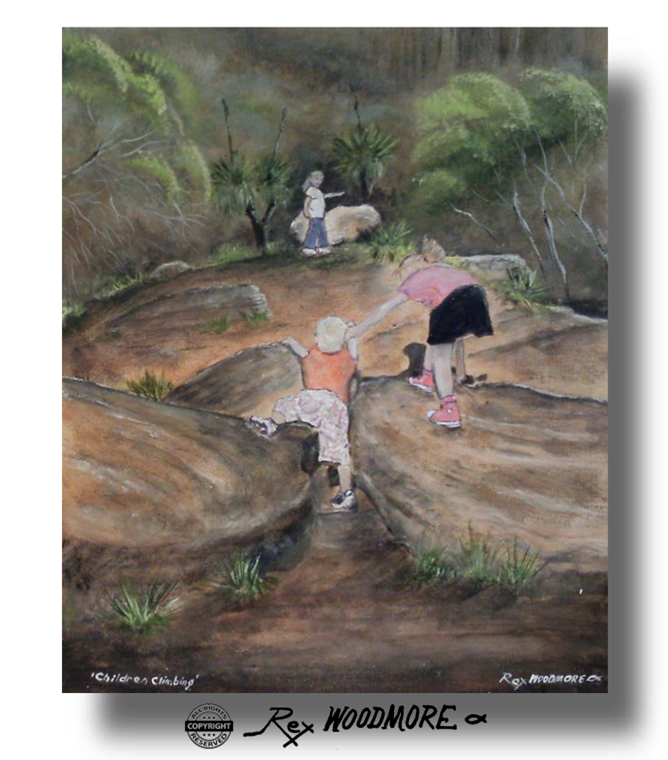 UTS University of Technology Sydney feature this painting in a thesis on Jacaranda trees by Anne-Therese King. 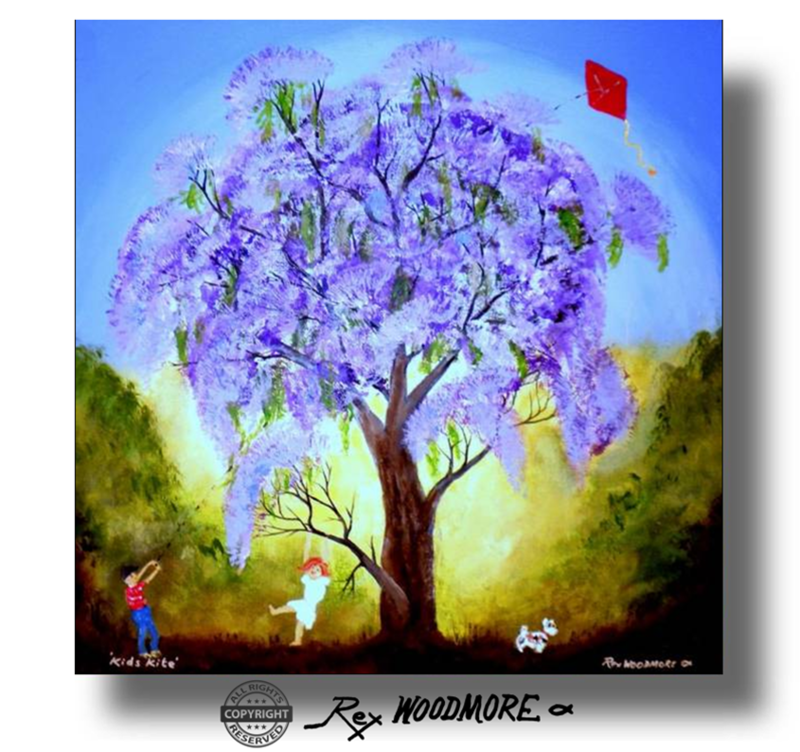 Kids with their kite tangled in a Jacaranda tree. 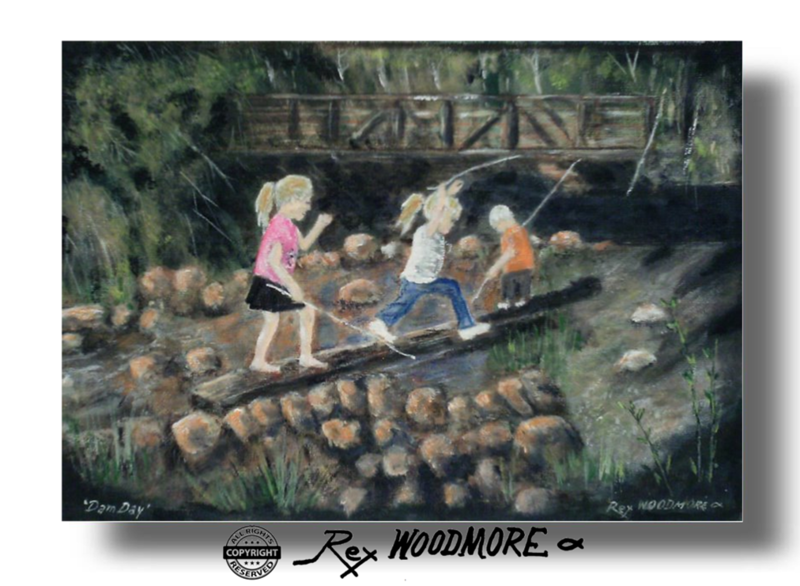 ​Gesso and varnished acrylic on stretched canvas. 45x45cm. No frame. 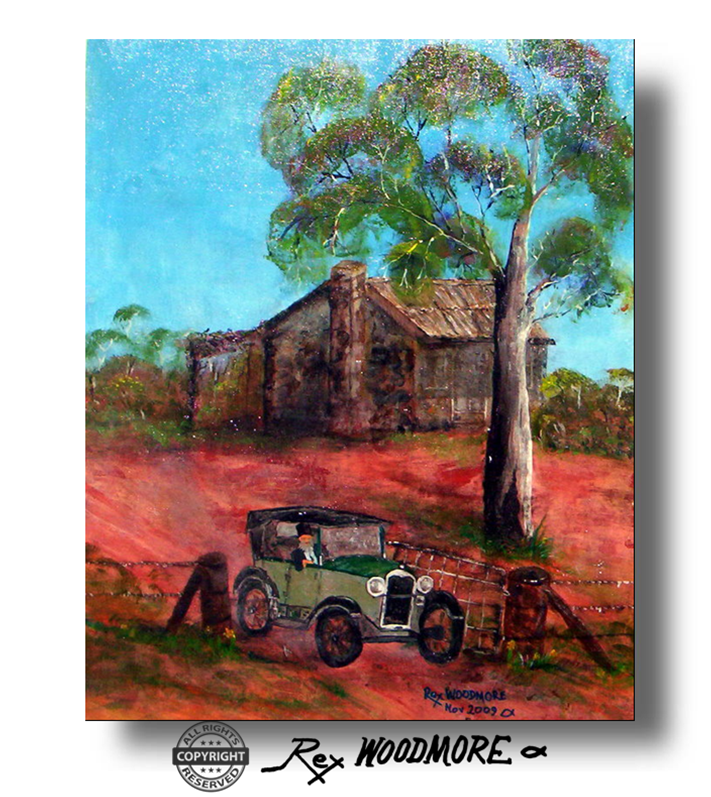 ​(​Rancher), lives in a shack and is off to the city,​ in his brand new 1910 automobile. ​​Gesso and varnished acrylic on canvas. 50x40cm. No frame. (US$176) $250 Australian. Completed 13th April 2017. 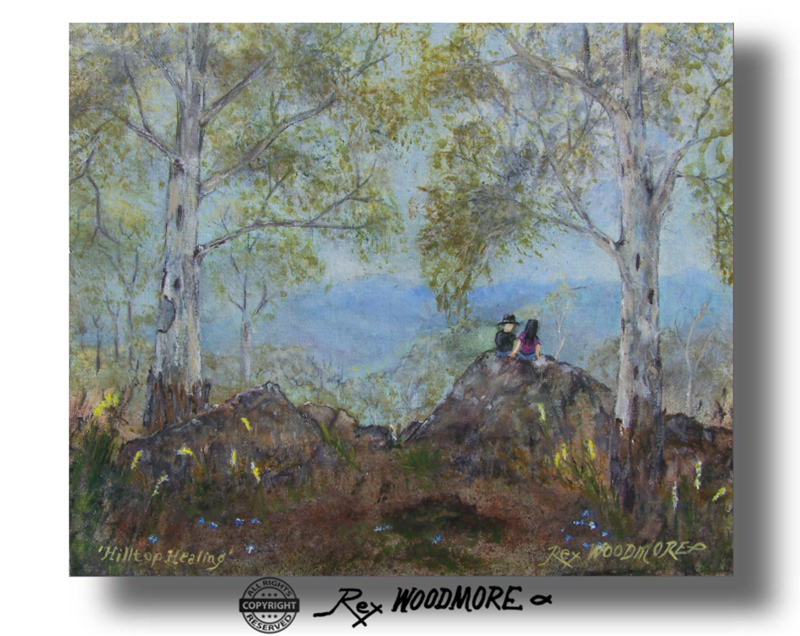 Hilltop Healing.​ Away from worries of the world a couple relax beneath the trees and soak in the view from a granite outcrop on the hilltop. Gesso and varnished acrylic on stretched canvas 25x30x2cm. No frame. (US$211) $300 Australian. Completed 25th March 2017. Train Time. 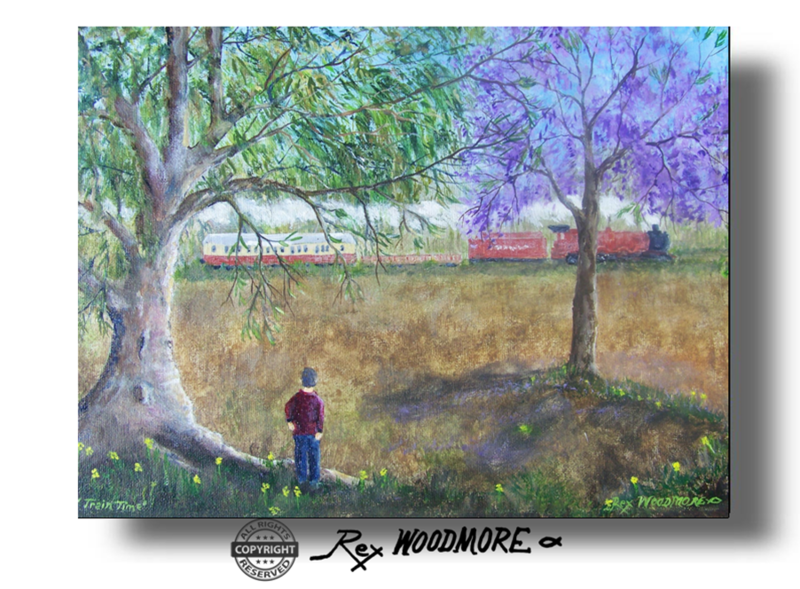 ​​A boy standing in the shade of a gumtree looking passed a Jacaranda tree,​ to the regular passing of a colourful train. Gesso and varnished acrylic on stretched canvas 30x40x3cm. No frame. (US$211) $300 Australian. Completed 21st March 2017. Farm Family. 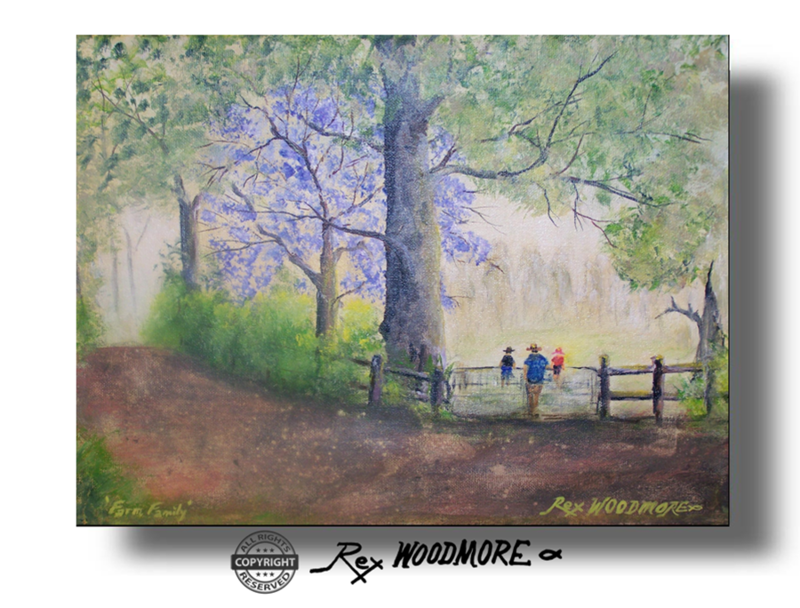 ​Dad & his kids at the fence with trees including a Jacaranda tree. Gesso and varnished acrylic on stretched canvas 30x40cm. No frame. (US$246) $350 Australian. 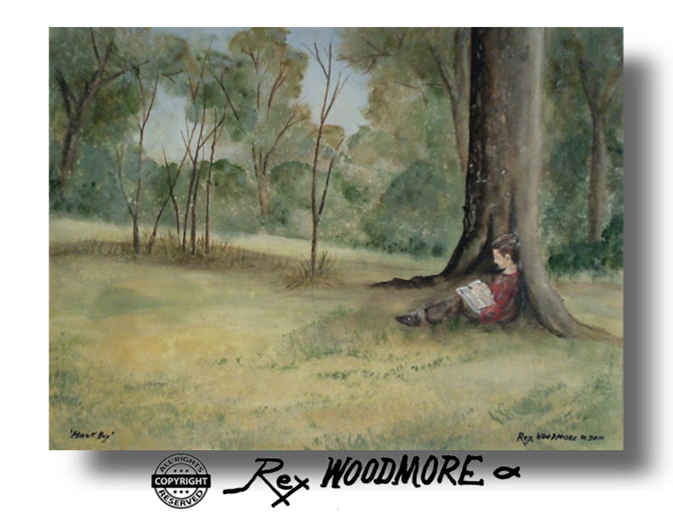 A scene from memories of my own childhood. 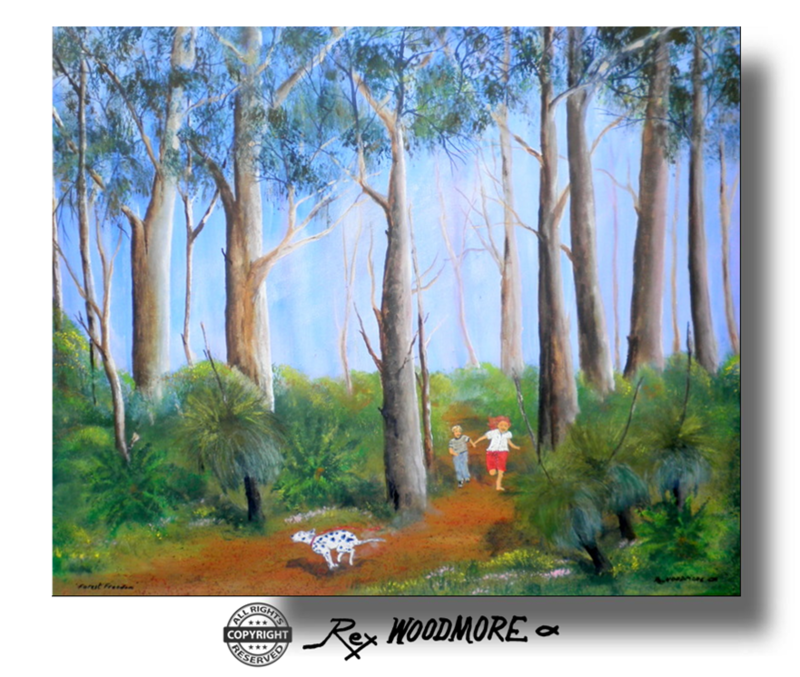 ​Children running free among the tall timbers with their Dalmatian dog. ​Sadly my dogs were poisoned. 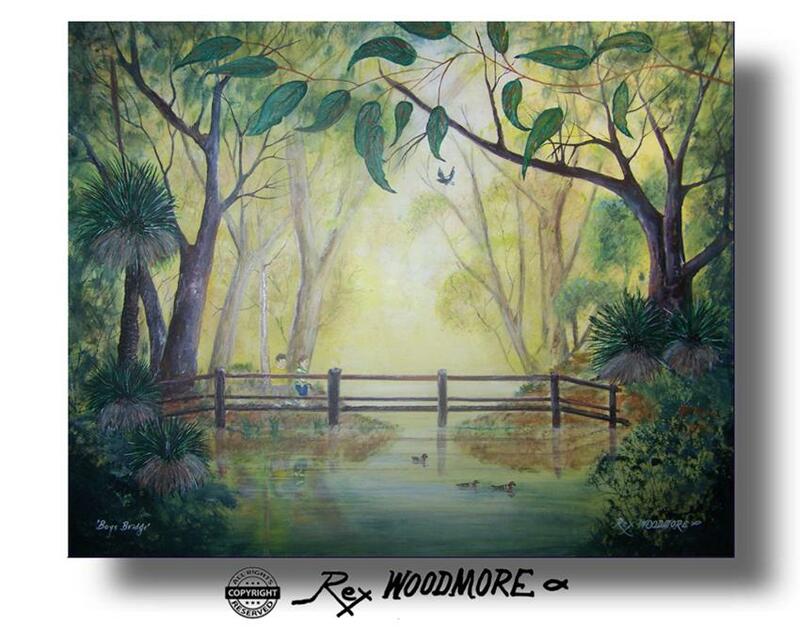 Gesso and varnished acrylic on stretched canvas. 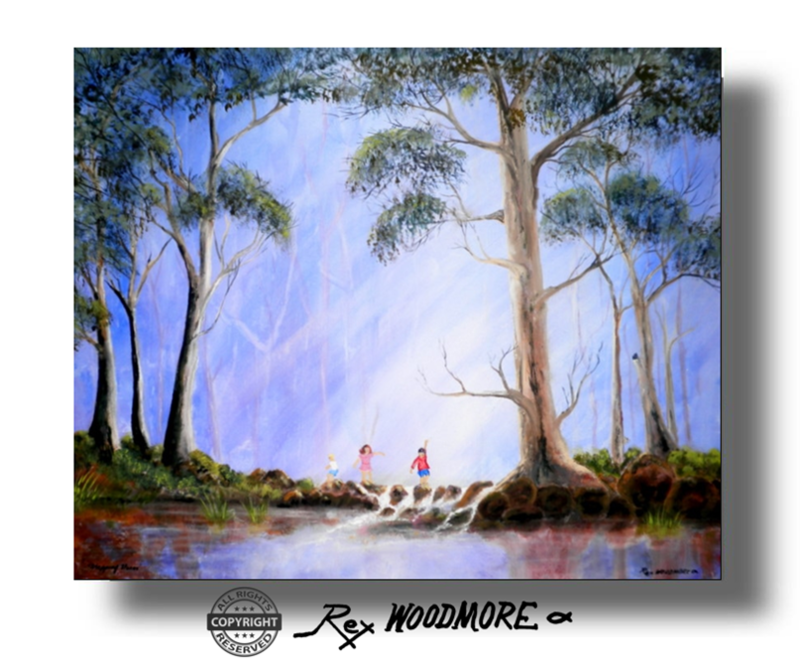 50x60cm. No frame. (US$512) $730 Australian. Private Property. Children tempted by the orchard full of fruit beyond the sign. 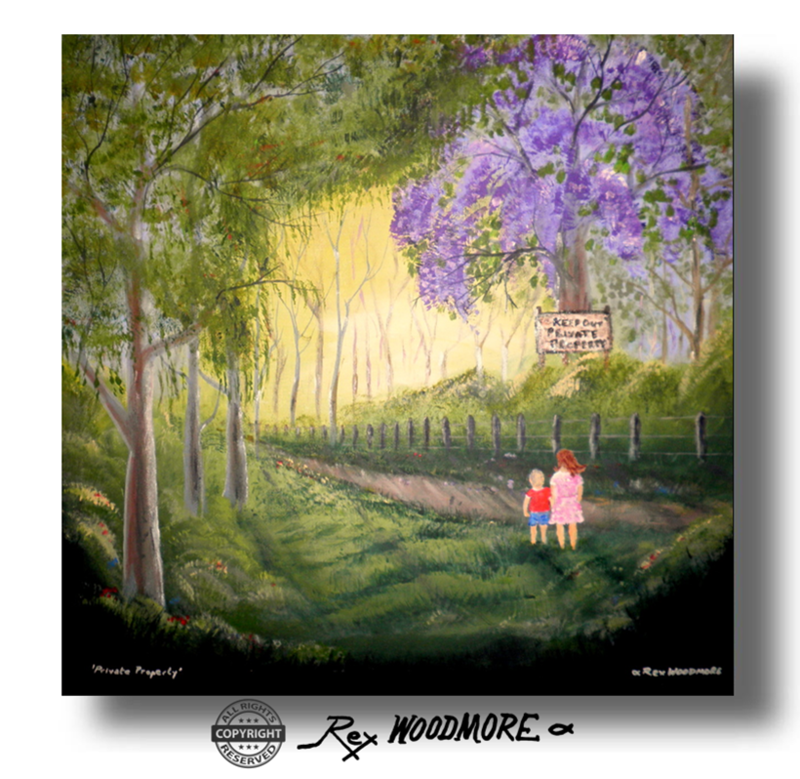 ​UTS University of Technology Sydney have this painting together with nine others of mine,​ in a library book (thesis on Jacaranda trees) Gesso and varnished acrylic on stretched canvas ​45x45cm. No frame.